Located near Stanley Park in the seaside resort of Blackpool, the zoo opened in 1972 and is owned by Parques Reunidos after changing ownership twice since it was founded. Home to around one and a half thousand animals from all over the world, the zoo spans 32 acres, some of which includes the ‘Dinosaur Safari’, a walk-through exhibition trail which features thirty-two life-size dinosaurs. Visitors to the zoo can enjoy meeting South American animals and birds including squirrel monkeys in ‘Amazonia’, whilst since 2008, you can see giraffes at the zoo again after their 14-year long absence. In summer 2009, penguins were also added to the long list of animals at the zoo. Other exhibitions that you can visit with your Blackpool Zoo voucher include the Orangutan Outlook, the Gorilla Mountain, Lemur Wood, Elephant and Reptile House, Wolf Ridge, Wallaby Walkabout, the Children’s Farm, and much more. A favourite activity at the zoo is the miniature railway, which transports visitors around to each different exhibit. When Blackpool Zoo was opened in 1972, the miniature railway was installed and has been in continuous operation ever since, running on zoo opening days. Whether you want to see giraffes, tigers, lions, various species of monkey, sea lions, meerkats, red pandas, barn owls, pelicans, tortoises, gorillas, elephants, or penguins, Blackpool Zoo is a great day out for animal lovers. How do I use my Blackpool Zoo voucher? When you go to the zoo, you want to make sure that you get the most for your money. At Blackpool Zoo, there are a range of daily talks about the animals, feeds, and other regular activities that visitors can observe or take part in. To make sure that you don’t miss out, check out the schedule on their site. For further saving, don’t forget to book online where you can take advantage of special priced tickets. Can I book Blackpool Zoo tickets online? Yes, you can book online at the Blackpool Zoo website with your voucher code to make more savings and beat the queues when you arrive with fast track entry. Is there cheap car parking at Blackpool Zoo? 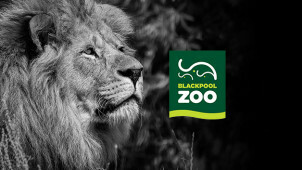 Car parking is available at Blackpool Zoo and will cost you £2.50 for a full day ticket. How do I get to Blackpool Zoo? You won't get lost if you follow the directions provided online to get to Blackpool Zoo by car, by bus or by train online. Open every day apart from Christmas Day from 10am. Closing times vary throughout the year, take a look here to see current closing time. For a trip that’s filled with activities, fun, adventure, and of course some of your favourite wild animals, look no further than Blackpool Zoo. The zoo is an exciting place to be all year round, especially when Blackpool Zoo offers from vouchercloud means you'll be making a saving. Open all year round, an outing to Blackpool Zoo is both fun and educational. If you find yourself returning to Blackpool Zoo again and again, consider investing in an annual membership, meaning you can come back again and again. With different levels of membership to suit your needs, you can get anything from access every sunday to free adoption, Play Barn tickets, Member’s Day invitation and beyond. Take your love of animals to the very next level at Blackpool Zoo! The big cats really are one of the highlights to any visit of the zoo. Book your Big Cat Experience tickets with our Blackpool Zoo vouchers to save money on your trip, and plan your experience with these creatures today. You'll get to meet up with one of their keepers, enjoy an exclusive behind the scenes tour of the Big Cat House and learn about how they are cared for before helping out with feeding time!